IP UDP/RTP and ASI INPUTS for feeding in local programs/services. 1 x MPTS IP out UDP or RTP/RTSP Unicast or Multicast + 2 x ASI out (mirror). 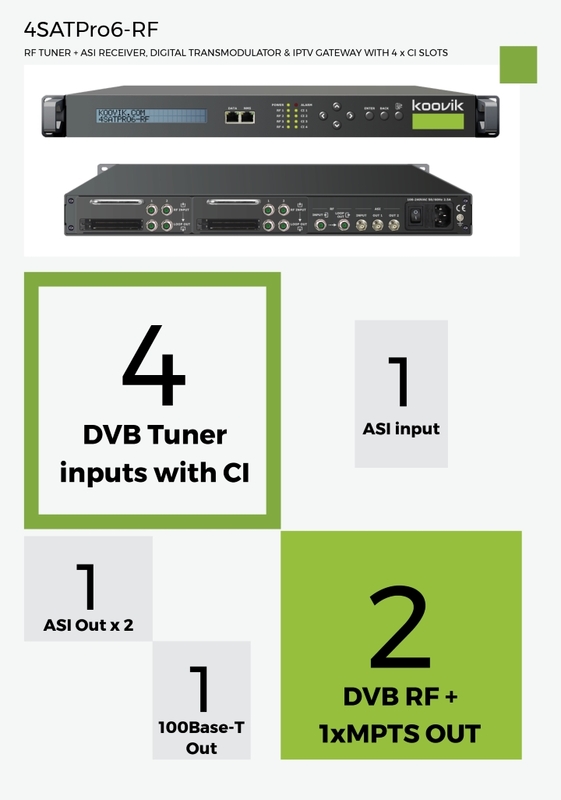 Digital RF (DVB-T and DVB-C options) modulator. 2 MUXES (enable or disable). IP MPTS 1 MPTS over UDP or RTP/RTS. Unicast or Multicast.